If your call is important to us, why don't you put on enough people to answer the calls promptly? If we want to develop our people, why is it so hard to get support for training? If people are our most valuable asset, why are so many people made redundant? It is not to say business is not making sensible decisions. It depends on what motivates those decisions. Most often it is the shareholders perspective. Maybe if we put on more telephone staff we will encourage phone contact and end up costing us more money. If we train people it makes them better candidates for jobs in other organisations. If we don't make people redundant in a downturn, we will make a loss. I think the same is true in many project environments. There is a gap between what is said, and what actually happens. This white paper sets out to explore the hypocrisy and give some hints as to how to work within the environment. The initial idea came after discussing the role of a CIO in an organisation. The person I was speaking with had held CIO roles in a number of organisations but was looking for a new role with a more strategic focus. He was sick of jobs where the focus was on cutting costs, reducing headcount, outsourcing and ensuring nothing broke. He believed IT could add value to the business. It could provide a return on investment. It was a profit centre not a cost centre. Having seen a number of high profile CIOs in action, I usually see a gap between the talk of "engaging with the business", "using IT as a competitive advantage" and the reality of keeping the wheels turning. After you spend all your money and resources to keep the wheels turning, there is often nothing left to spend on adding value. Perhaps it is really a case of hypocrisy. It is the right thing for everyone to say that business should see IT as a strategic tool but it falls into the same category as "your call is important to us". I heard someone say "IT is a strategic tool" at a conference so it must be right. Either that or I am becoming even more cynical. Here are a few myths you are bound to have heard about project management.  Business areas will provide full support for a project.  Taking the time to plan before you start is critical.  There are bound to be things we cannot foresee at the start of the project hence we will make adjustments to time and cost during the project.  We should be able to give a rough estimate at the very beginning of the project.  Since projects are about our future, we need our best people on them.  If people are assigned to a project, we will reassign their current job. They will not be required to contribute to their previous role.  Assigning a budget before a project manager has been appointed is not how we work around here. I could go on but I am sure many people have heard the comments above in their own organisation. Start by challenging all the promises and platitudes. If a manager tells you the business area will provide full support, ask what support they provided to recent projects? Talk to the project managers on their projects. If they tell you they are getting no support go back to the manager and challenge their commitment. Get them to commit in writing as to what support they will provide. If you work on the basis that what you are being told about "how we run projects around here" is probably "bovine excreta", you are probably seeing life as it is.  Do we all agree on the scope and outcome of the project?  Is there another way to achieve the outcome?  Do we have both sufficient resources and the right resources?  Who makes decisions about the direction of the project?  Who has ultimate authority and responsibility for the project completion on time and budget?  How will the project benefit the organisation?  Who will be responsible for delivering benefits in the business case?  What major issues need to be addressed before we start? Having done dozens of Phase Zero studies, I would say I have stopped more projects than have gone ahead. Maybe they did proceed a few years later, but when you put some issues on the table and say "Solve these issues and you are ready to start" it can put the spotlight on situations that will probably cause the project to fail down the track. The example is for an IT project but is applicable for any project. It is like a game where both sides are saying one thing, and both understand the reality is something else. 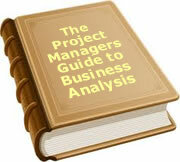 A manager is telling you as project manager, that the project is one of the most important for the organisation. He doesn't believe it but is saying so because his boss told him it was. You know he doesn't believe it. You know the organisation will quickly ditch support if the going gets tough. What do you do? If the truth is not very important, what is? Here are a few things that probably are important. People who mouth platitudes are usually trying to build their own status in the organisation. They are following the corporate line in the hope it will build their individual status in the organisation. People want to be taken seriously. They don't want to be proven wrong. They don't want to take a decision that will later turn out to be incorrect. In many cases this results in fence sitting and they are unwilling to commit until certainty is assured. This has some connection to the previous point. If there is a risk involved, best to just procrastinate until the risk goes away. Many people want to go with the herd. If everyone wants the building to be painted white, who is going to say it should be green? Organisations often fragment into unofficial alliances. People know, like and trust some other employees and loath others. The reasons for liking or not liking people may relate to personality, ambition or even long forgotten differences of opinion. New is exciting. Sales people have known this for centuries. Trends come and go in business as easily as they do in the clothing industry. The latest management technique, or quality technique, or IT development can drive organisations down a path where those who are supporters are seen as innovators and those who oppose it as dinosaurs. If you have any doubts, look at the world of finance over the last few years. Dare I mention the word "derivatives"? As project manager, you need to use the things that motivate the organisation, and individuals within the organisation to get your project completed. It can sometimes be like operating in two worlds simultaneously. There is the politically correct world that is full of hypocrisy, and the real world where it can be every man and woman for them self. The starting point is never to take on face value, what you are being told. Ask yourself, what is the motivation for what is being said? At this point, it is probably useful to use some examples. Change the names and era and they would fit easily into Machiavelli's "The Prince". Two business managers had a reputation of competing with one another. To say there was no love lost between the two would be like saying Israel and Palestine are the best of friends. They were both significant players in a business process reengineering project. What to do as they would obviously go out of their way to ensure the other person was seen as the cause of all problems. The CEO was well aware of it and actually raised the issue during a Phase Zero. He told me off the record that in spite of whatever he said to them, he expected each would be trying to undermine the other person's business area. They would each be fighting for more power for their own area, and suggesting difficult business processes were located in the other department. We came up with a plan. The CEO had a quiet chat with each. He told them to keep it to themselves, but after the project ended, he was thinking about moving that manager to the other department. The existing manager of the department may be moved interstate. Just a thought at this stage, and may or may not go ahead. May even combine the two departments, and put you in charge. All this of course was presented as "I am just thinking out loud and though I would bounce it off you". Of course there was no intention to move the people. What happened was that both having had a confidential chat with the CEO, believed at the end of the day they may be responsible for either the other area, or both areas. They were competing to do a better job for both departments. The result was both operating on their own hidden agenda. The project was a success because the individual status issues which could have crippled the project were neutralised. Enemies were compromised. New alliances were formed and the project benefited. In another organisation, SOX (Sarbanes Oxley) was the fashion of the day. Head Office said so. They even set up a department to drive it. A combination of fashion and herd instinct took over. By the time it trickled down to branch level, the impact was somewhat diluted. The branches were asked to undertake a compliance exercise that would take weeks to complete and they didn't have the resources to do the work anyway. The initial reaction was just give them something. Do it to a superficial level as quickly as possible. The CIO had another view. There were points to be scored in Head Office if it was done thoroughly and other branches were shown up as only paying lip service to the project. "The CEO and CIO want to look good to head office. Can I have your cooperation?" Who could say no? The result was astonishment from head office that this branch had done such a brilliant job. They were held up as the shining star in the organisation. The project was initially driven by fashion. The project was a success because it was based on the individual status of two C level executives. The fact they received some kudos from the project was a side effect to the project manager. The project manager was only concerned with providing a result on time and budget. Neither the time nor the budget would have existed without the utilisation of individual status to provide the support mechanism. A sales force review program was bogged down due to the marketing manager's lack of support. We had taken over a much smaller competitor and they had completely different commission structures. It was significantly more generous as they only had a small market share. The project manager could not make progress on the rationalisation of commissions without involvement from the marketing manager. We talked about how the Marketing Manager could be drawn into the project, but there was no obvious path. The next step was to look at the personality profile of the manager. When told he was extremely risk averse, we started thinking about how that could be used to the benefit of the project. What resulted was a comprehensive risk review around commissions. Whilst some of the risks were "creative", others were real. One I remember was the risk that our competitors would see our temporary commission model as the start of a commission war, and match the very generous commissions paid to sales staff in the organisation we had taken over. It would be difficult to extricate ourselves from the mess and move back to a more industry normal model. When we presented the risks to the Marketing Manager, he was horrified. It was as though he had suddenly realised all his worst nightmares. He could not have been more cooperative and in fact started to drive the project. You can call it playing to a person's weakness but in order to get people motivated, you have to appeal to what is really important to them; not to what they say is important to them. In this case it was the fear of something going wrong. We all know there is a level of hypocrisy in business. It is how the game is played. Sometimes it is difficult to understand what is fact, and what is fiction. In order to achieve something through a project, you have to get behind the duplicity. You have to split fantasy from reality. You still play the game, but you decide the tactics. Machiavelli published "The Prince" in 1532. For those who have never read it, it is a guide to princes in Europe as to how to stay in power. How to deal with other countries so they stay allies and do not attack you. How to govern people so you are not overthrown. How to deal with people in your court who might want to replace you. Business today is not much different. The same human characteristics are alive and well 500 years down the track. Projects are about change and that is even more threatening to many people. If a project manager is to survive in such an environment they need to use the hypocrisy to their own advantage. To date, 9 people have rated this article. The average rating is 3.89 - Add your rating. Just select a rating and click the button. No other information required.